Livestock portraiture depicting prize animals – cattle, oxen, pigs and sheep – began to appear in the mid-eighteenth century. We derive much historical value from these commissioned paintings through their collective recording of the process of English livestock improvement. It was a period in which livestock was being altered from medieval to modern purposes. In a time of rapid population increase, these adaptations were designed for one end: the production of meat to cater for the “the growing demands of the urban tables of Britain” (Trow-Smith, 1957). We consumed not only the meat. New developments in the history of printmaking – such as mezzotints, aquatints and lithographs – emerged contemporaneously with the period of agricultural reform. 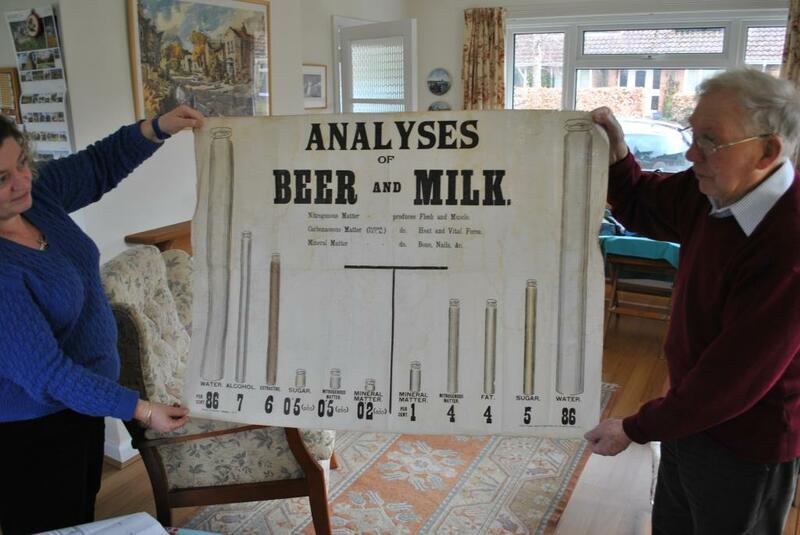 A surge in the interest of scientific approaches to breeding, and the “mania for improvement” (Walton, 1984), meant enthused audiences readily consumed the reproductions as fashionable prints to be hung on walls. Jacqueline our Art Collections Officer and Hillary our Post-Graduate Researcher working in the collection storeroom. Showing framed print 64/96, the ‘North Devon Ox’. 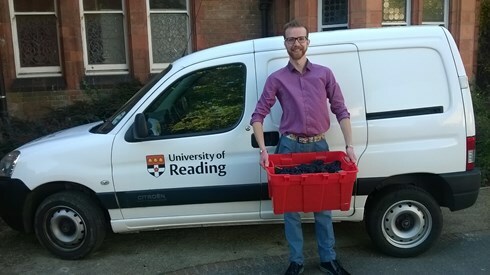 Photo by Dr Martha Fleming, Collections Based Research Programme Director. Methods of livestock improvements included the shortening of the period between birth and maturity for meat-producing animals. Flesh was redistributed upon the most edible parts of the body, and the weight of the animal carcass was increased. 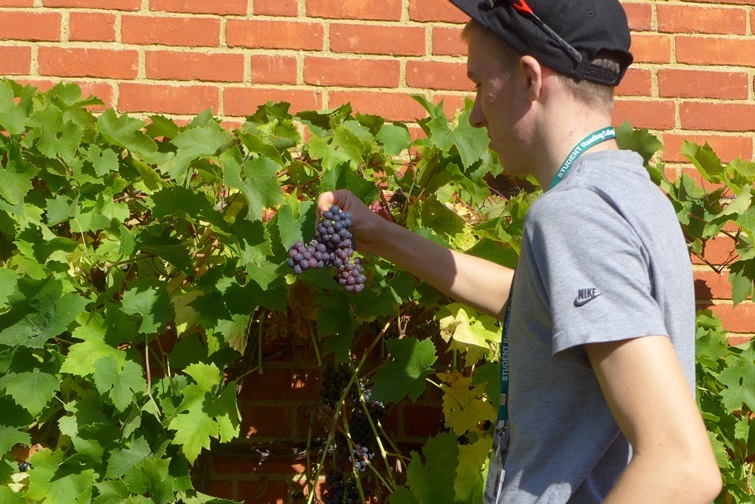 Farmers developed a number of pioneering ways to achieve these adaptations. The in-breeding and line-breeding of cattle allowed the most desirable qualities to be selected, and fixed, by mating within a single breed. Out-crossing cattle allowed for new qualities to be sought across various breeds, and fixed in one new breed by mating. 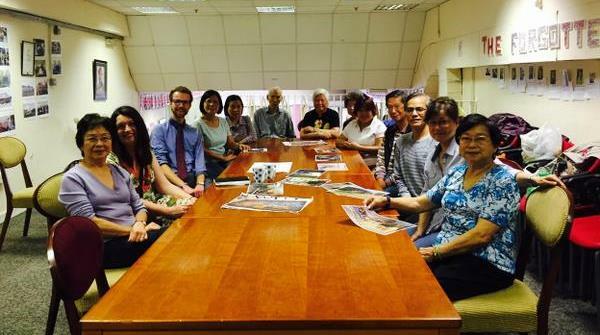 The latter could also include the import and use of animals from overseas on British stock. 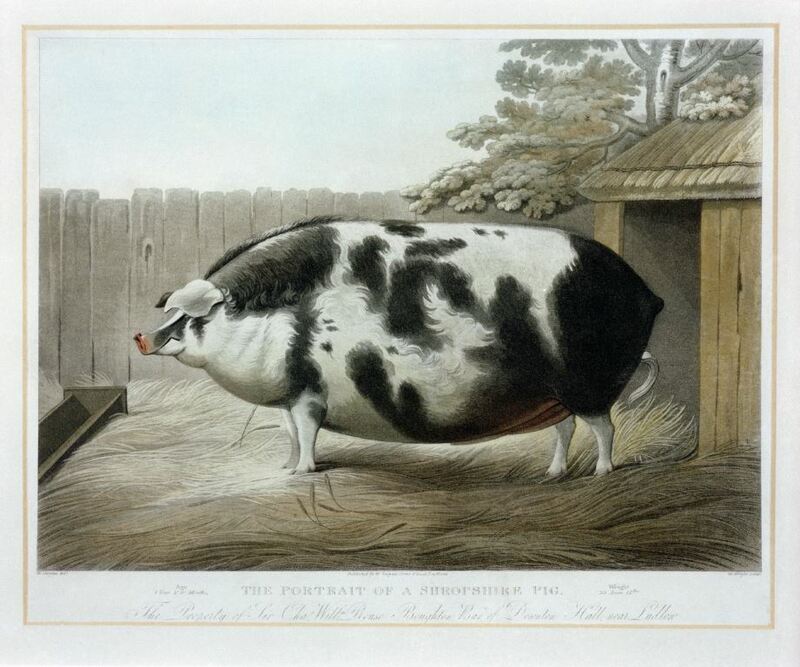 This is a hand-coloured aquatint entitled ‘A Shropshire Pig’. It was designed by W. Gwynn, engraved by W. Wright, and published in 1795 by W. Gwynn of Ludlow, Shropshire. The pig depicted was owned by Sir Charles William Rouse Boughton of Downton Hall, near Ludlow. Existing animals were diminutive when compared to the improved livestock bred after the mid-18th century. The growth was “rapid and wonderful, like their evolution into distinctive breeds” (Walker’s Monthly, 1936). Livestock portraiture developed out of the tradition of sporting painting. 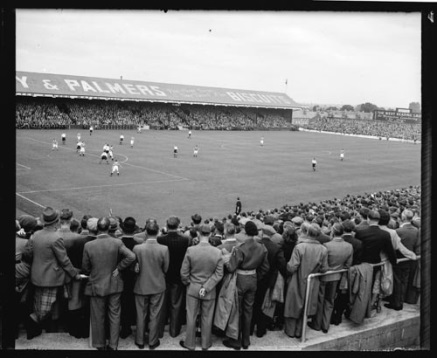 Sporting pictures reflect a passion for field sports and country life. 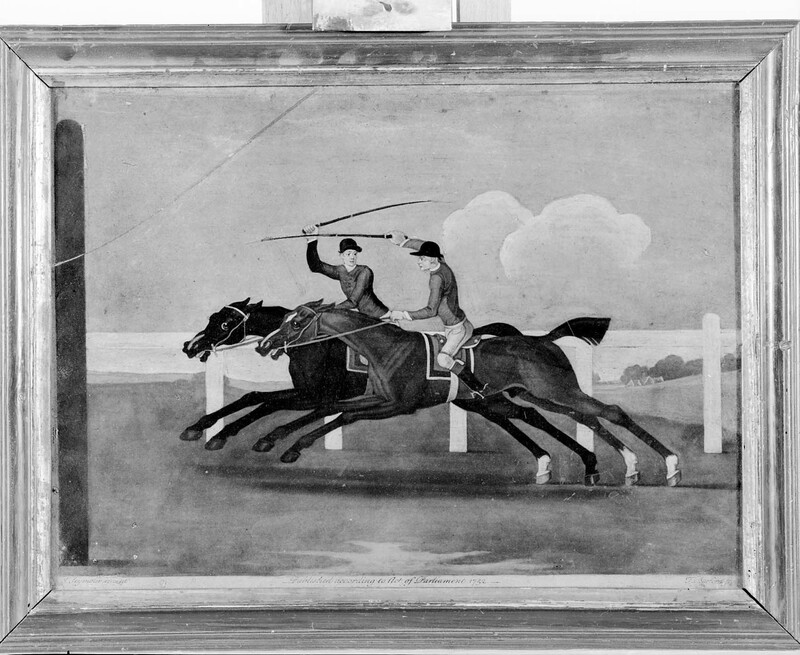 Under the patronage of gentleman, paintings depicted scenes of hunts and races, with portraits of greyhounds and horses. 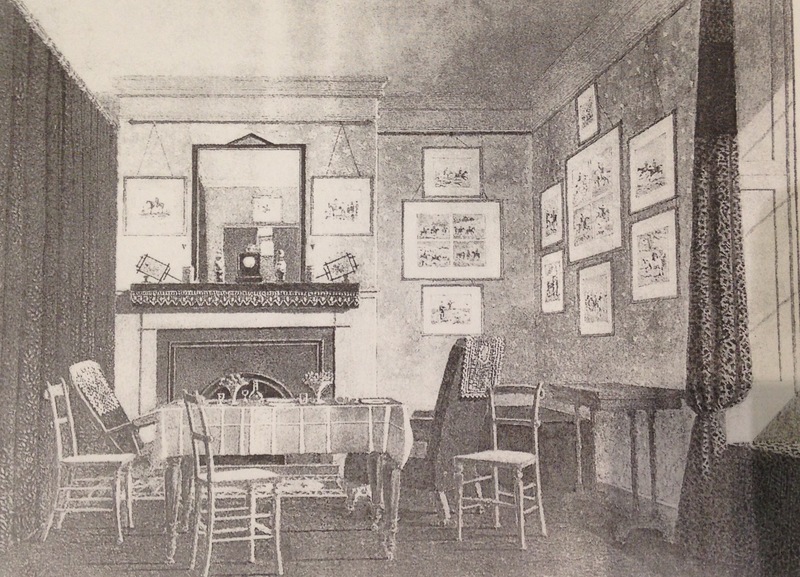 Examples of these prints and watercolours adorn the walls of a sitting room at Canterbury Quadrangle. Agricultural enthusiasts followed suit and commissioned painters to record their favourite and prize winning animals. Paintings were prepared at the expense and upon the instruction of gentleman breeders for whom pedigree breeding was a fashionable hobby. The portraits, most often of a specific animal, were executed in side view and often included the individual animal’s name, pedigree and physical description. Over-fed animals were represented because of their high meat or milk yields. The animal’s physical appearance, corpulence and lineaments were captured by the painter. Artists were often itinerant sign painters; a law passed in 1763 limited the number of shop-signs on London streets meaning craftsmen were looking for work. However, some painters were able to earn a handsome living from the patronage of their breeders. Artists were often encouraged to over-emphasise the effects of improved breeding. 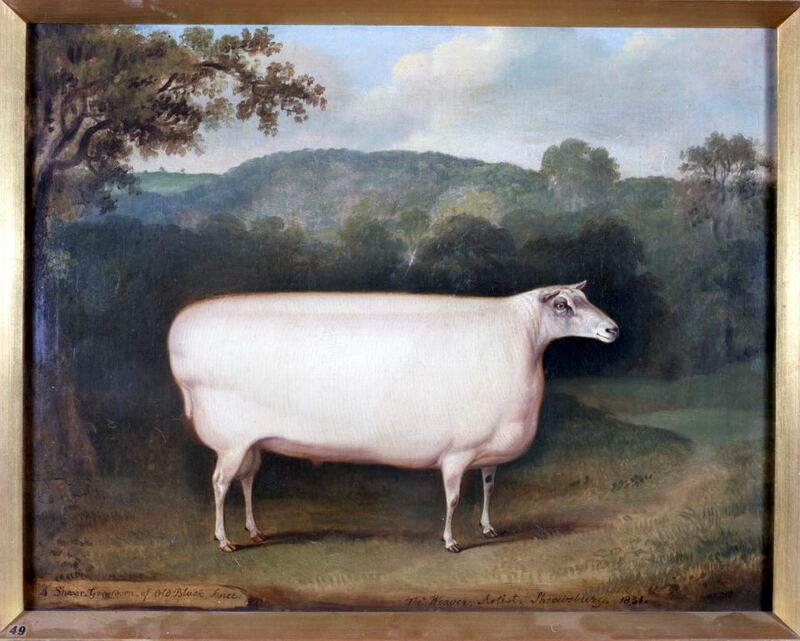 In a 1964 catalogue of the livestock painting collection held at MERL, the author notes that the commissioner “paid for exactly what he held in his eye as the most desirable features … they were to be figured monstrously fat before the owners of them could be pleased” (Jewell, 1964). This is a formal portrait, painted by Thomas Weaver of Shrewsbury in 1831. It is worth remembering that considerable licence was practiced – and expected – from the painter and engraver. Likewise, the preoccupation with fashionable breeds means the paintings are not always representative of the range of British cattle and sheep. William Henry Davis is considered to be one of the most prolific artists. Already a reputable sporting painter, Davis responded to the demand for livestock portraiture by utilising lithography and publishing within his practice. Farmers’ Magazine, the agricultural journal, commissioned Davis to record winning animals at agricultural shows. This association lasted for almost 30 years and resulted in over 160 livestock paintings being reproduced in the publication. 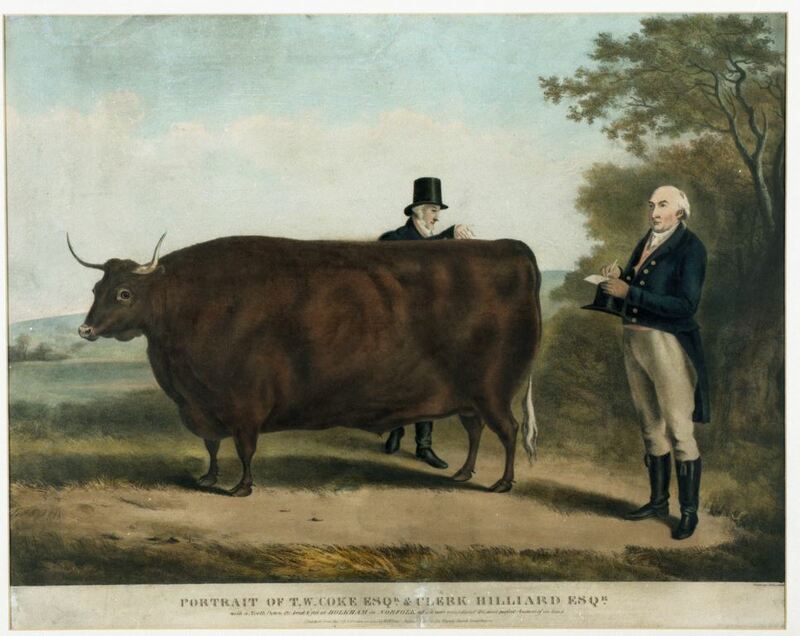 This is a print from a lithograph of a painting, entitled ‘Portrait of T. W. Coke and North Devon Ox’, c.1837. The ox was bred at Holkham in Norfolk and was considered to be the perfect specimen. Short-horn cattle feature most prominently in Davis’ work, but he also painted sheep and pigs. Davis’ prints declared he was ‘animal painter to Her Majesty’; however this was a self-styled title. This nomination was not uncommon and would be used by proxy if a painting had been purchased by a member of the Royal Family. With the establishment of agricultural societies, innovations in breeding received impetus by circulating new ideas in journals like Farmers’ Magazine. Publishing images of livestock portraiture in animal husbandry books was an ideal way of disseminating new practices to farmers, many of whom were illiterate. Early breeders were therefore not only “involved in improving their own livestock but conscious of the need to disseminate their ideas and advertise their practice” (Ayrton, 1982). As agricultural societies spread and as methods of transport improved, animal shows were organised. This was an opportunity to bring together, in fierce competition, breeders and their stock. Prizes meant enhanced reputations. The subsequent demand for livestock portraiture to capture these decorated animals was high. The most remarkable beasts travelled as popular exhibitions and profitable wonders. Prints were sold as tickets or as souvenirs of the spectacle. The paintings and prints functioned both as advertisements for animals available to stud, but also to “reinforce their owner’s amour propre’” (Melly, 1982). 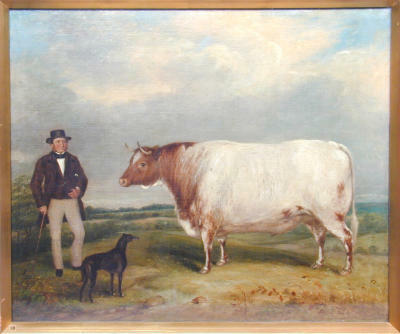 This is a painting of ‘The Champion Shorthorn’, showing the shorthorn cow, a man and dog, with a landscape background. It was painted and signed by William Smith of Chichester in 1856. The Champion Shorthorn won 1st prize at the Chichester Cattle Show in 1856. Portraits therefore up-held and reinforced the success of the improved breeds. “Breed was nothing more than an ingenious marketing and publicity mechanism. Certain identifiable physical characteristics were imprinted in animals of a particular strain, and prospective purchasers were then encouraged to associate those markers with some attribute or attributes of productivity… the success of a breed depended to some extent on the visual impact of the chosen marker or trade mark” (Walton, 1986). Testament to their visual impact, the consumption of prints flourished. Producing prints to be hung on walls was an entirely new venture which emerged at the end of the eighteenth century. 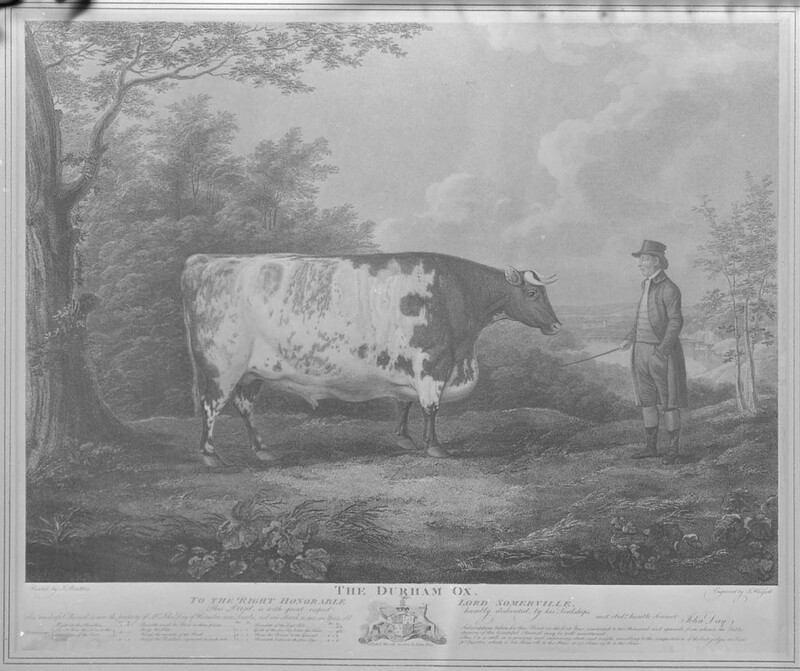 This is a print from an engraving of an original painting, ‘The Durham Ox’, by J. Boultbee in 1802. It was engraved by J. Whessell of Oxford and was published by John Day in 1802. Over 2000 copies of this print were sold within the year. 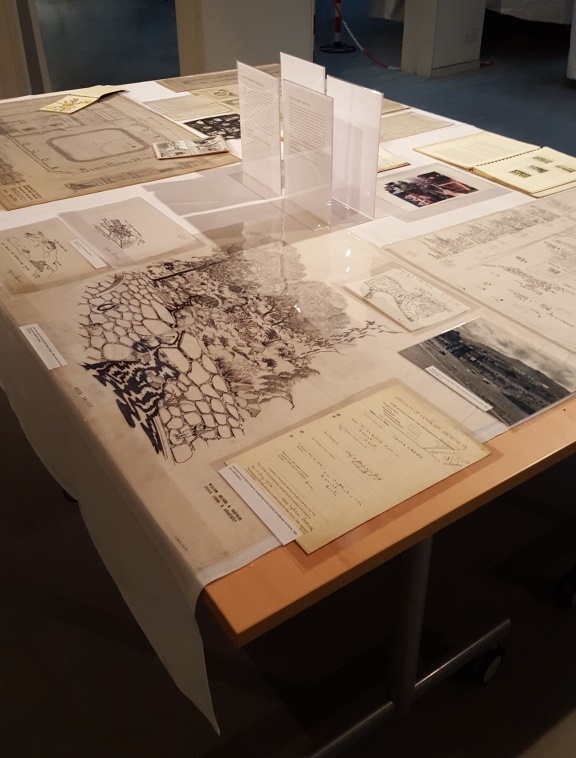 Etchings, mezzotints, aquatints and lithographic prints are represented in the MERL collection. To satisfy commercial requirements, many prints are coloured by hand to replicate the original artworks. This is a coloured aquatint print of an original drawing by B. Taylor c.1819. The engraving was by Stadler. 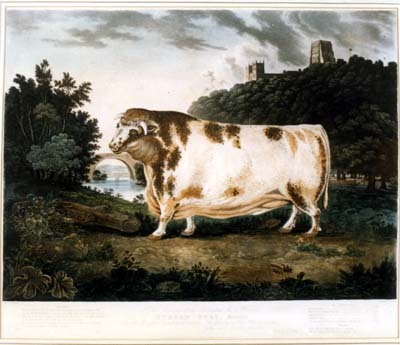 It is a formal animal portrait of a shorthorn bull, with a landscape in the background showing a bridge, Durham cathedral and woodland. Operating in a time before photography, the artworks also became an important means of advertising. Manufacturers of animal food adopted the livestock portraiture aesthetic to foster early graphic sales promotions. This is a tinted lithograph print from an original painting, ‘Berkshire Pigs’, by A. M. Gauci, of Tottenham Court Road, Camden, in 1868. 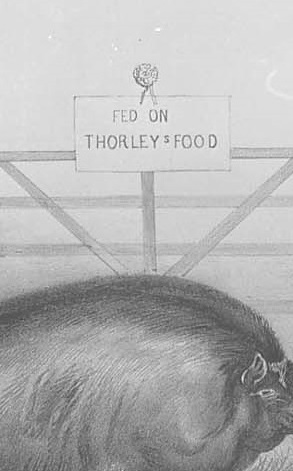 The inscription on the print reads ‘Berkshire pigs fed on food seasoned with Thorley’s condiment’. 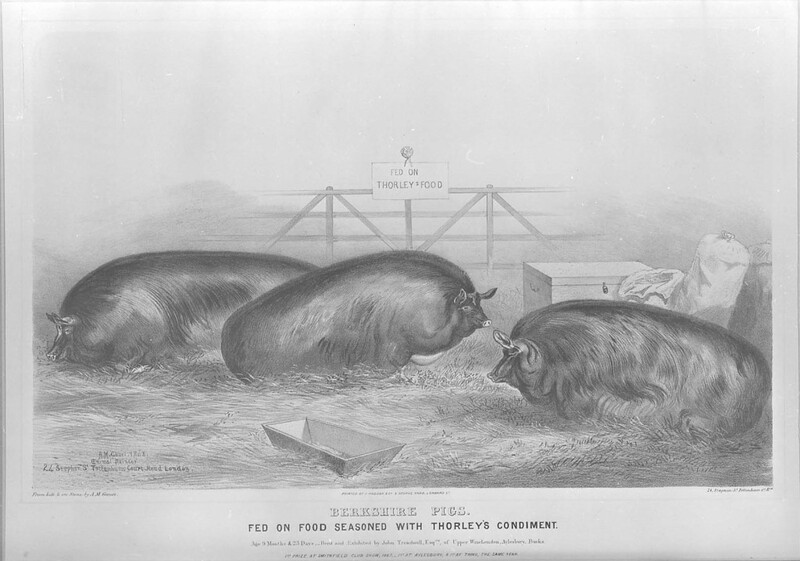 The pigs won 1st prize at the Smithfield Club Show in 1867. 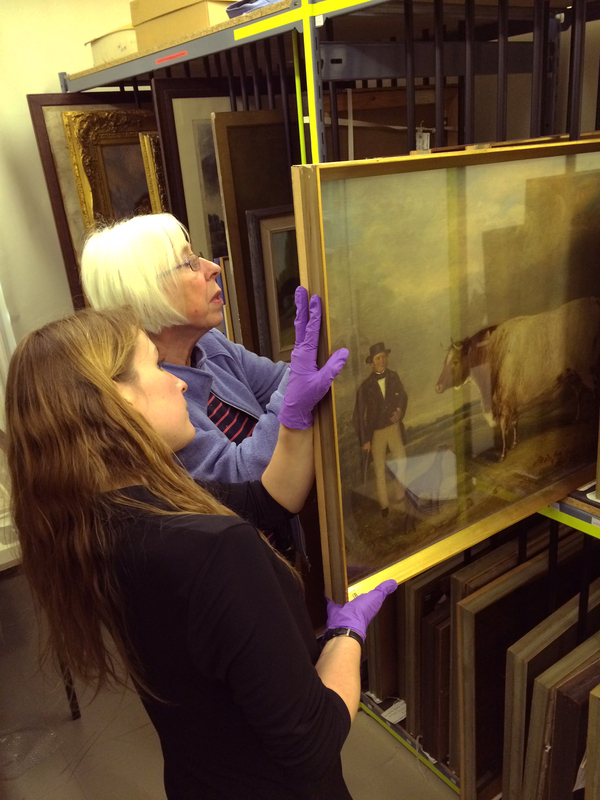 The collection of livestock portraiture at MERL consists of both paintings and prints; it can be viewed by appointment. 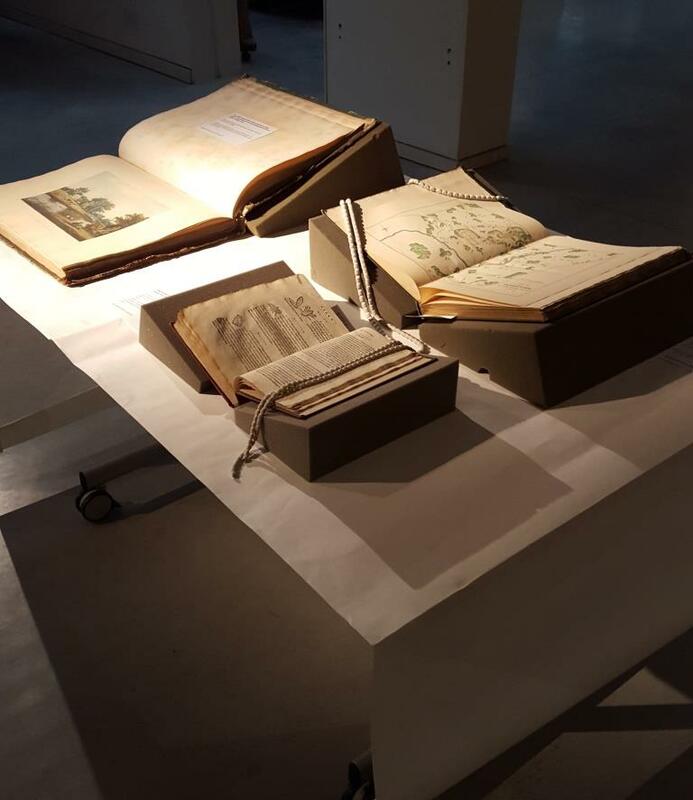 Queries relating to the collection can be forwarded to the Art Collections Officer Jacqueline Winston-Silk j.winston-silk@reading.ac.uk. We are also pleased to welcome Hillary Matthews, a post graduate researcher, who has just begun working with the collection. Having previously studied agriculture, Hillary has just completed an MA in art history and intends to employ both of these disciplines within her PhD research, as she seeks to understand why many of these animals were represented in such an idealised way. 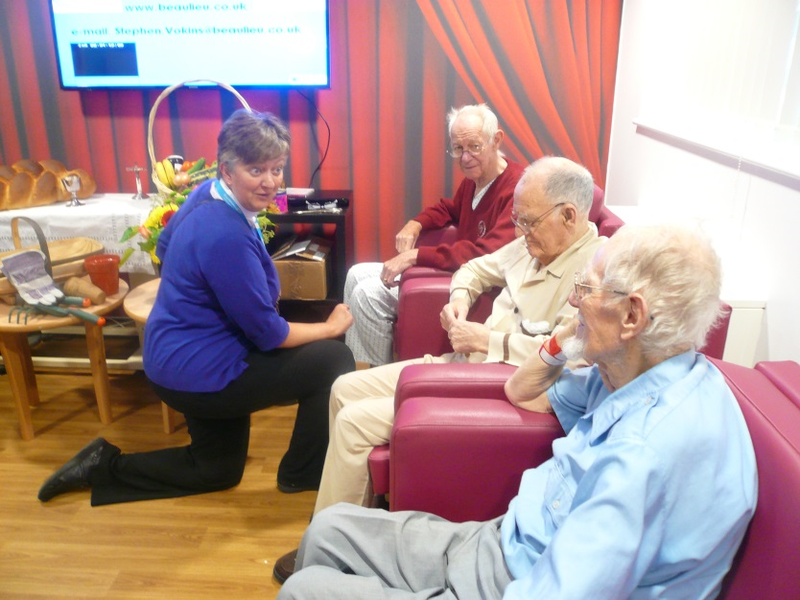 Hillary will also look at their impact within their local rural communities as well as how they were received by the larger British public in general. Hillary and Jacqueline consulted paintings in the collection storeroom after Hillary completed an intensive course in Collections Based Research last week, as part of her University of Reading doctoral studies. 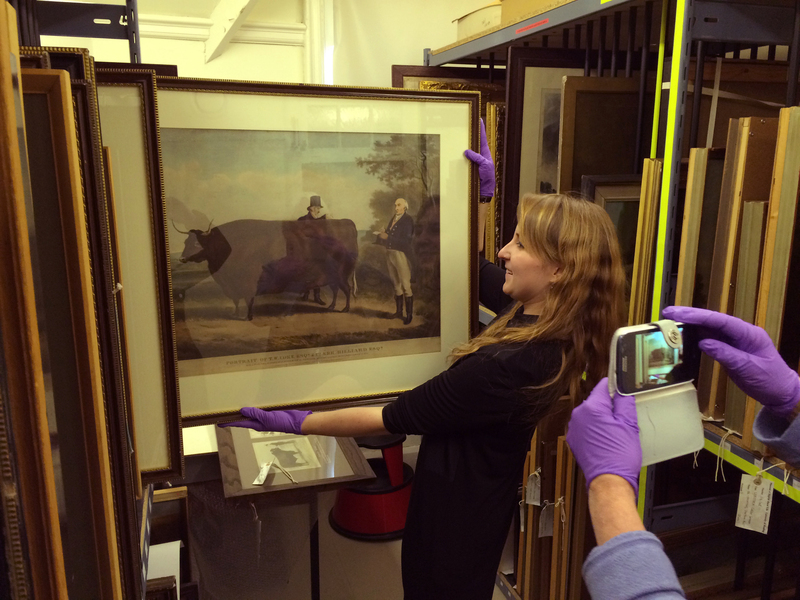 The work produced will further enrich our understanding of livestock portraiture in the MERL collection. Jacqueline our Art Collections Officer and Hillary our post-graduate researcher working in the collection storeroom. Showing framed print 64/40, ‘The Champion Shorthorn’. 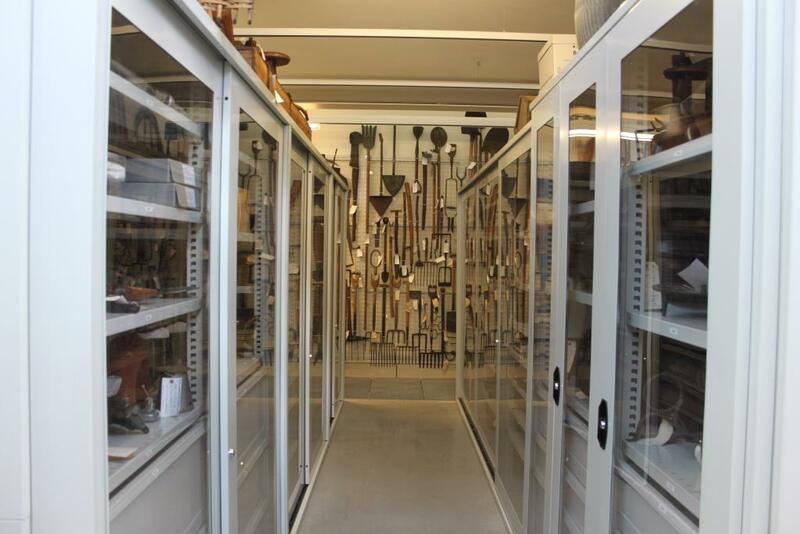 Photo by Dr Martha Fleming, Collections Based Research Programme Director. 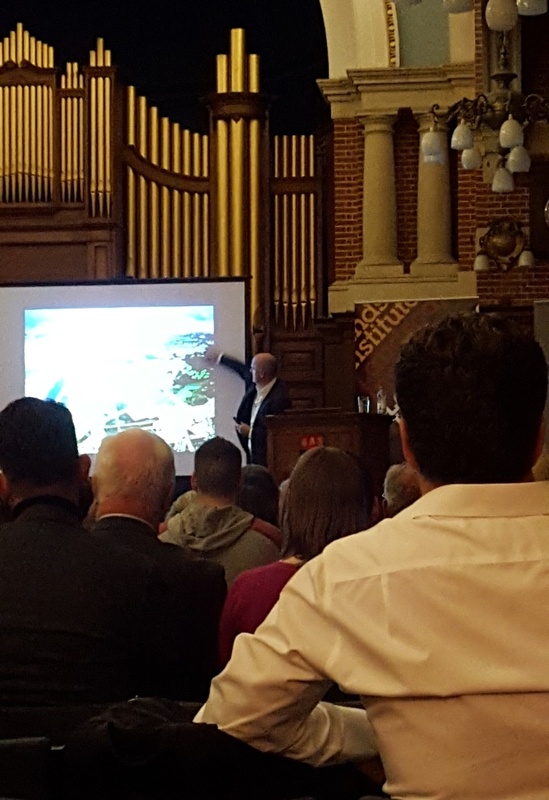 Yesterday evening cutting edge landscape architect James Corner – renowned for designing New York’s much loved High Line and the South Park Plaza of London’s Queen Elizabeth Olympic Park – delivered a fascinating lecture in the University of Reading’s Great Hall. 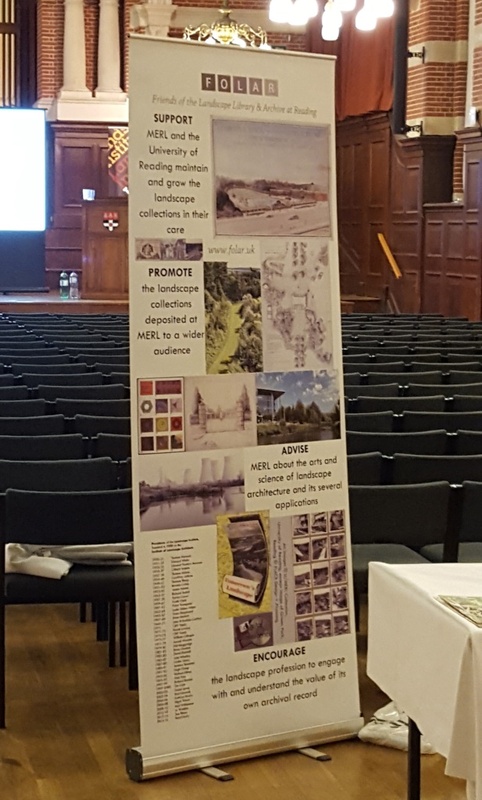 This was a highly successful joint venture between MERL and the Landscape Institute, serving as the annual lecture for both organisations. 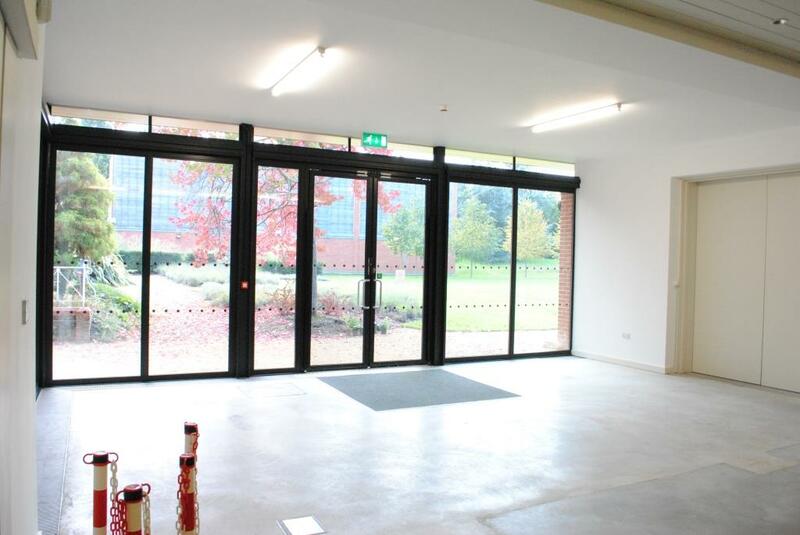 Corner was introduced by the University of Reading’s Pro-Vice Chancellor Professor Steven Mithen and the President of the Landscape Institute, Noel Farrer. Corner delivered an excellent lecture to a packed audience. Drawing upon a wide range of themes relating to landscape architecture, Corner spoke about how Jellicoe and Ian McHarg had influenced his early ideas on landscape and the nature of the relationship between architecture and landscape architecture, where landscape design can be most successful when considered as the first element of construction of large scale building projects. Corner’s talk was illuminated by his use of many striking images including photographs of one his most significant and well known projects, the New York High line, alongside diagrams and graphic illustrations of other projects he and his team are involved in, such as waterfront projects in Seattle and Hong Kong. 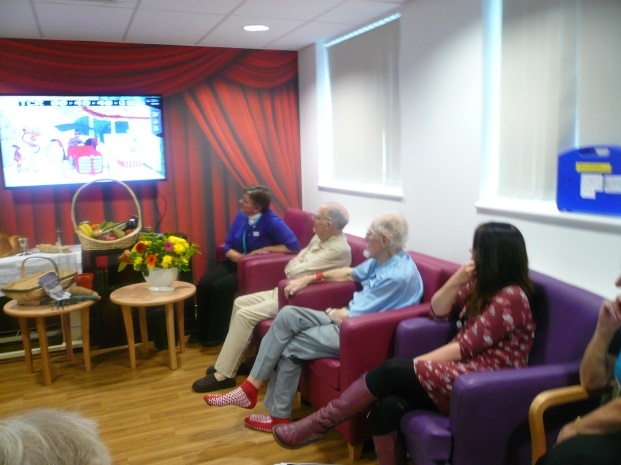 A key theme of Corner’s talk was the importance and relevance of public spaces to people’s lives; be these spaces urban or rural, or in private or public realms. The landscape architect can influence how people move through a landscape, the public space people inhabit and how they interpret, use and interact with that space. 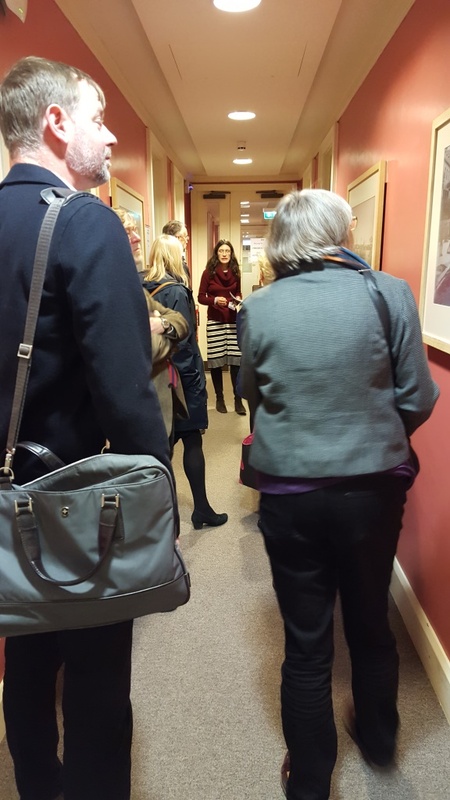 Members of the Landscape Institute and FOLAR (the Friends of the Landscape Library and Archive at Reading) enjoyed a packed day here at MERL, which included (in addition to the public lecture!) 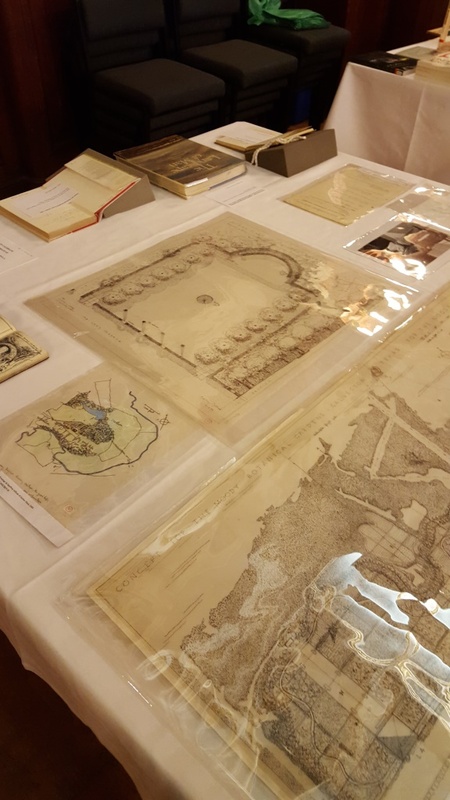 a meeting of the LI Council, the LI’s AGM, representation from FOLAR and a FOLAR run duplicate book sale and two pop up exhibitions highlighting treasures and Jellicoe material from the LI collections curated by MERL Archives and Library staff. 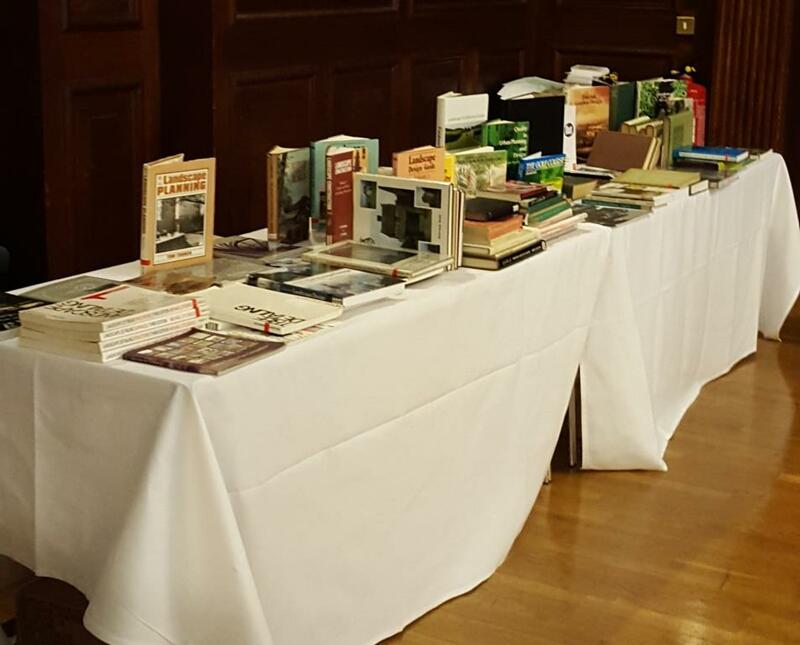 The Great Hall also hosted a MERL pop up shop before and after the lecture, with James Corner signing copies of his books after the lecture. The unrivalled library and archive of the Landscape Institute are currently being made available at the Museum of English Rural Life. 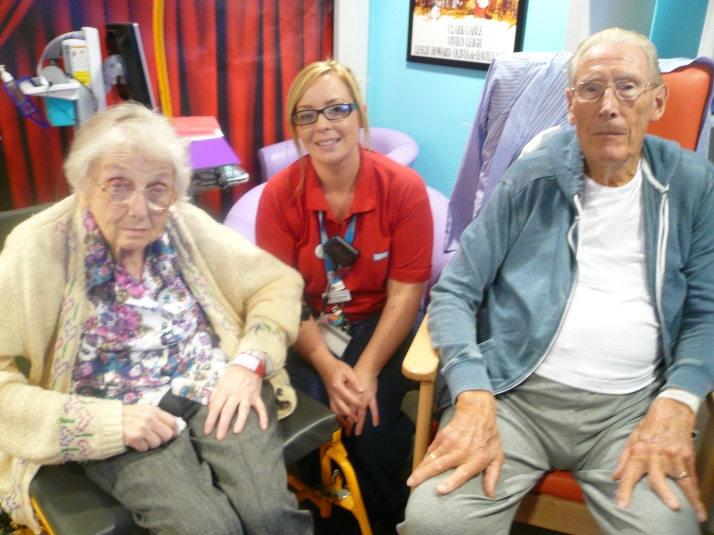 For more information contact us on merl@reading.ac.uk. Museums, archives and GIFs: a fine line between fun and foolishness? GIFs have seen an explosion in popularity over the past few years, taking advantage of a more browsable internet and a multitude of social media platforms. As more and more museums, galleries and libraries have been communicating with GIFs online, it’s no surprise that it has been chosen as a Culture Themes hashtag on Twitter today. If you don’t know what the Graphic Interchange Format (GIF) is, it is essentially a type of image that can be both static or animated. They play automatically in your browser and usually loop so that they play infinitely. They’ve become very popular on sites such as Reddit and Tumblr as a means of communicating, most commonly through ‘reaction gifs’. The downside of GIFs is that there is no sound and the animations tend to be short (although people have managed to fit the entire Star Wars saga into a single GIF..). Yet, they are a breath of fresh air for what is still a surprisingly static internet. 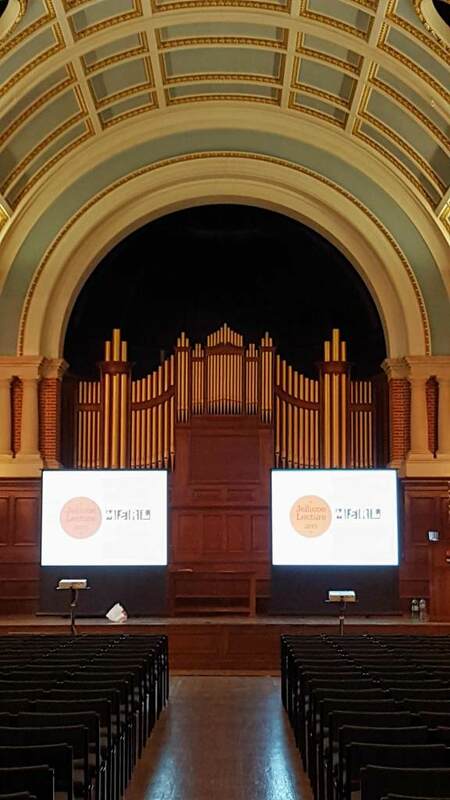 This GIF is a simple animation of the rain on the rooftops of our Grade II-listed building. Its original purpose was to warn Reading Festival goers of the poor weather, but has been picked up by Tumblr users for its atmospheric feel. We have adopted GIFs as a form of communication because we believe museums, libraries and galleries should be relevant. 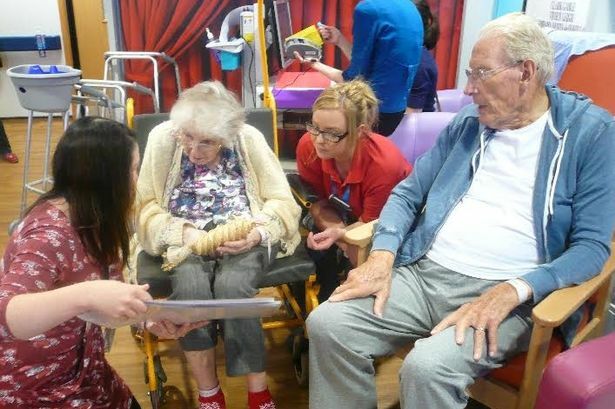 To communicate with new generations of visitors we have to speak in their language, and those who have grown up in the digital world are as comfortable communicating with emojis and GIFs as they are in simple text. This GIF combines an attempt at humour and our own collections, which in this case is a plate from the 1796 Ichthyologie, ou, Histoire naturelle des poissons. A person saying ‘huehuehue’ is a common trope/meme of internet humour, but has little connection to the illustration. We know that the narratives, lives and themes bound up in our collections are supremely relevant to all: young or old, town or gown. In 2015, however, not everyone can visit our museums and collections in person, sequestered as our buildings are are on university campuses. To convince prospective audiences that we are worth their time and interest we had to go to where they live: the internet. This GIF was part of a series celebrating the 200th birthday of Robert Hooke, the author of Micrographia. Hooke discovered cells using a microscope he designed himself, and the GIF above shows how it was used with a close-up of cells found in cork. This is why the University of Reading’s other museums and collections are on Tumblr, a micro-blogging site with a diverse but very often young audience that relies heavily on GIFs. We were inspired by institutions such as the Smithsonian Libraries, who bring static images to life through quirky but illuminating animation. This GIF was a way of tracking the progress of MERL’s redevelopment, showing the removal of wagons which have been suspended above visitors’ heads for over ten years. 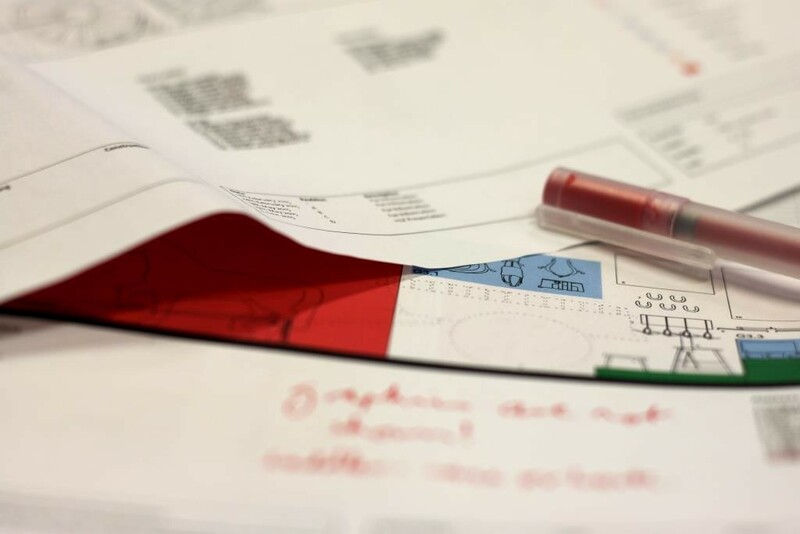 A simple insight into our behind-the-scenes work but one we thought was more effective than a photograph. And, as you can see from the images in this blog-post, our own GIFs vary in their quality, relevance, impact and purpose. 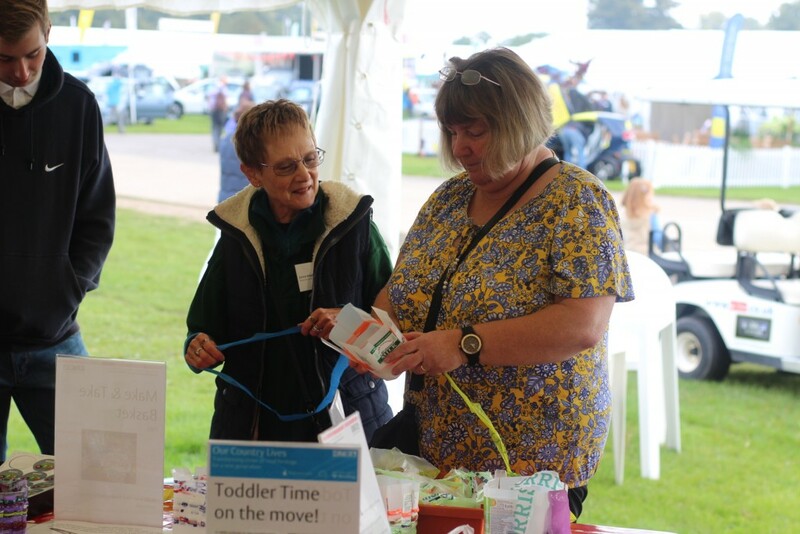 As museum professionals we are used to reviewing the point of what we do so that we can justify ourselves to our funders and to the public, and we already feel that we’re treading a fine line between frivolity and respect for the collections. There is nothing in our Mission Statement about making funny GIFs. But can a University museum afford to ignore a model of communication used by its student body? Is it okay to use GIFs with no obvious educational value if it strengthens the image and reputation of a museum with younger audiences? 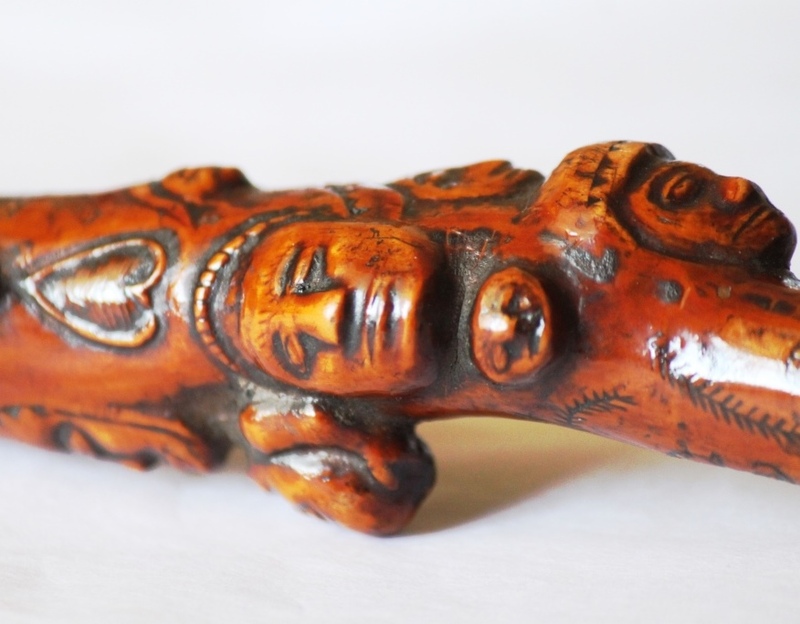 And what are the ethical implications of subjecting our collections to digital manipulation? We already started this discussion after last year’s #ArchiveSelfie Day, when we photoshopped smartphones into archival photographs. After much thinking we decided that our photographs are off-limits for manipulation because they feature real people who may still be in living memory, but out-of-copyright illustrations are okay on a case-by-case basis. 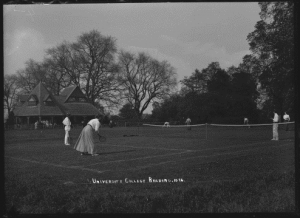 If you have an opinion, please let us know by commenting on this blog or tweeting @MERLReading or @UniRdg_SpecColl . Rob Davies reviews our latest rural read. 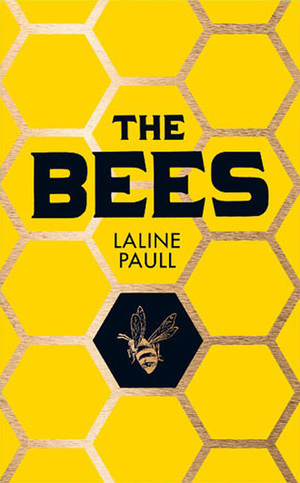 This September we read The Bees by Laline Paull. The Bees is set within a bee hive and tells the story of Flora 717 a sanitation bee who rises up through the ranks. The Bees has many tropes of a classic dystopian novel: totalitarian regime, secret police, oppression and that one individual who stands out against the state. Paull has evidently done extensive research into bees and hive workings. For many of us, bees are the lovely bumble bees that hop from one flower to the next during summer. Paull breaks that perception and reveals the inner working of hives, along with the various bees that all play an essential role. 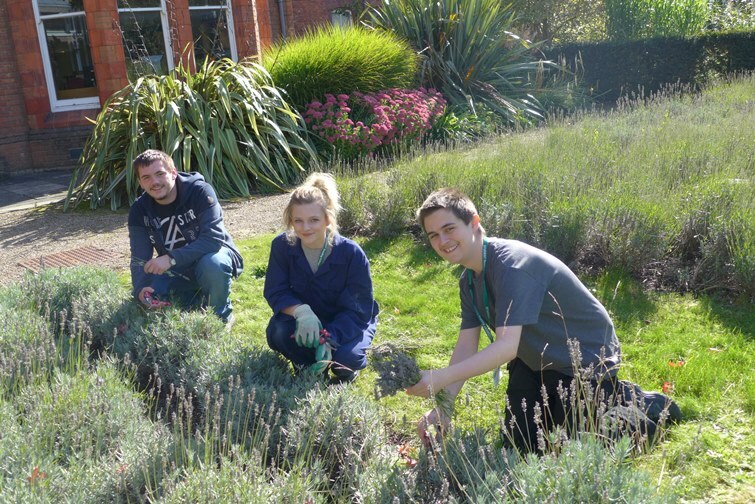 The group particularly enjoyed this aspect of the book and we feel we have all learnt something new about bees. Learning something new about wildlife or farming is a common occurrence with the books we read! The story line was rather straight forward, set at an easy pace, but seemed to meander off course at periods. I personally felt it was rather predictable with no surprises along the way. We thought it was interesting that the bees were very much aware of the world and other species, including humans. However, we felt there were levels of confusion between the bees and their understanding of the outside world. Paull had created a folklore for their world, intersected with humans and our understanding of reality, but at times it became confused. The protagonist Flora 717 was an interesting character, we were all amazed how she managed to survive through such hardship. Flora 717 is a sanitation bee, she is not supposed to be able to speak and is treated as a slave by the rest of the hive. Flora 717 however develops speech, free thought and has an inner will which drives her through so many disasters which would surely destroy a weaker bee. Overall the group really enjoyed the book, finding it an easy read with many interesting points and found the bee facts fascinating. Paull managed to intermingle the complex and diverse world of bees with a dystopian story. October’s read is Common Ground by Rob Cowen. Visit the Rural Reads plus web page for more details.